Roger Ebert died today, April 4th at the age of 70. He announced on April 2nd that his Thyroid Cancer had returned, and within two days it finally claimed the life of one of the most successful and renowned names in the world of modern entertainment. 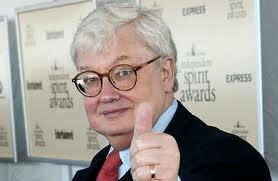 When it comes to film criticism, there is no one whose impact was greater than Roger Ebert’s. Personally, one of the greatest sources of inspiration for my love for the movies started with Ebert’s weekly film reviews and nationally syndicated TV program. Much of his fame and notoriety came from his relationship with the late Chicago Tribune film critic, Gene Siskel. Siskel and Ebert became household names and their trademarked “thumbs up/thumbs down” rating system became the most coveted recommendation a film could receive. It has been said, that the popularity of Siskel and Ebert’s unique but simple recommendation actually decimated the relevance of an entire generation of film critics. With the passing of Siskel, Ebert continued the show, using it to introduce and launch other worthy names in the world of film criticism as well as to continue to maintain the standard of the profession. Roger Ebert was more than just a traditional film critic, however. His sense of humor and his intellect made him a favorite guest on talk shows from The Tonight Show to The Howard Stern Show. He was a very gifted writer whose often poetic way of capturing ideas into words began with screenplays and later evolved into what writing about movies could be. His reviews often enjoyed a sense of anecdotal quality. He interacted with a film and expressed it expertly so that each review felt personal and honest. His vast knowledge of the history and nostalgia of film aided him in his ability to provide excellent insight. Additionally, he always had his finger on the pulse of what mattered in the industry. He championed and attended film festivals, he criticized studios when they refused to release films early for critics, he attacked the MPAA when its ratings seemed to conflict with the essence of a film’s audience, he stayed on top of trends in film, and he provided memorable and fascinating commentaries on a wide range of films from critical favorites like Citizen Kane to some of his personal favorites like Dark City.